If you’ve been left without power following a winter storm, you know how uncomfortable it can be for your family to endure below-freezing temperatures without many of the normal comforts of home for several days. If you live in the Southborough, Massachusetts, area and want to avoid the discomfort that a power outage can cause, consider having a backup generator installed by VMA Electric. We have been providing comprehensive electrical services to homeowners throughout the region since 2008, and we can help you make sure your family is never left out in the cold. When you choose VMA Electric, we’ll help you select a whole-house generator that will be able to spring into action when a power outage occurs, ensuring that the appliances and electronics in your home continue to function without interruption. The natural gas-powered whole-house generators we install are extremely reliable, so you will never have to stress about a power outage again. Once your backup generator has been installed, VMA Electric can provide regular maintenance to ensure that it is ready to function optimally when called upon. 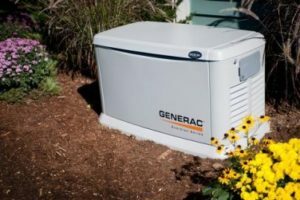 Additionally, we offer smaller portable generators, which are a perfect option if you only need to power specific appliances or electrical components, or if you want to have power at a picnic, tailgate party, or other outdoor event. If you would like additional information about the backup generator installation and maintenance services we offer to residents of the Southborough, MA, area, contact VMA Electric today.